Once again the old saying unuth ekai munuth ekai (There is no difference between former and present rulers) is heard more and more in the streets. That means ordinary masses, including those that voted for change on January 8, 2015 are frustrated and demoralized. Their expectations have been not only not fulfilled but they also see a continuation of old policies by the new dispensation too. Old wine in new bottles, so to say. The promised national policies are not yet formulated, leaving aside implementation. Much valuable time is wasted on repairing the crisis-ridden machinery of the SLFP that the Head of State is unable to fulfill his role as the helmsman of the ship of State. Intra-party disputes in the Cabinet of Ministers have made parliamentary democracy a joke. Even budgets were in tatters. As we have pointed out in this column repeatedly a way out could be found only in the close unity between the Government and the forces that represented the January 8th programme of action. Even the President had called for such a unity. Why has it not materialized, then? This is a question that needs an answer. A little bit of reflection would show that the principal weakness lies in the weakness of the civil society. Political parties- Left, Right and Centre (?) are proving themselves incapable of leading the masses due to various reasons including vertical splits and lack of foresight and innovative thinking. Leaderships of the established parties are still groping in the dark with outdated perceptions. This situation has created a leadership vacuum in most of the established parties though there are nominally elected leaders. To make matters worse the so-called leaders of the civil society seemed to have exhausted their usefulness in view of most of them engaging in marketing campaigns (kade yanawa) for the government instead of following an independent line. Some of them have compromised their political positions by accepting material positions in Government institutions or appearing on its behalf. 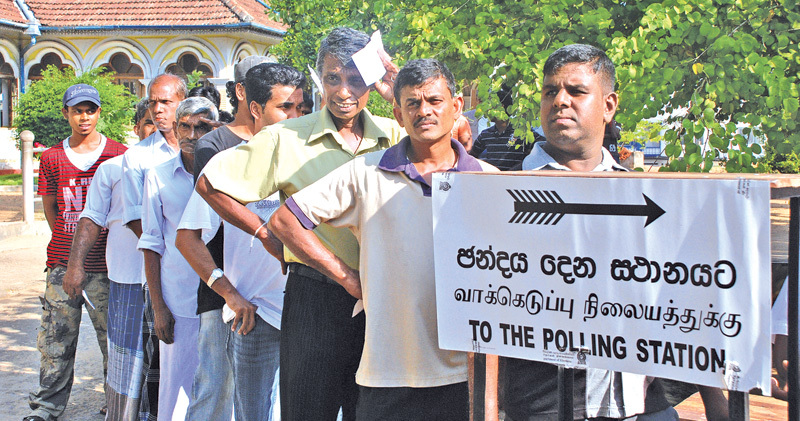 In politics the Right, as represented principally by the UNP and the SLFP have failed to forge an organic unity despite the shaky ruling coalition and their ideological unity vis-s-vis their common stand on the neo-liberal path of development. Struggle for power is a heavy impediment to any strategic unity between them. Their rightist fellow-travellers are physically, numerically and theoretically too weak to influence them or act as king-makers. Moreover they are responsible for most of our past failures. On the Left of the political spectrum what we see is all-round disunity with no prospect of unity in the near future. Intransigently clinging on to doctrinaire differences or competing with each other for an illusory take-over of power seem to separate the old and new Left. In the meantime the so-called new Left has also matured to be a twin brother of the traditional Left. It is too unrealistic to imagine that the Left, despite the soundness of most of their policies, would be in a position to play the leading role in the next Government. It would have to realize that they have the future only to the extent that they lead the people through several intermediate steps that take forward the aspirations people expressed on January 8 without allowing the dominant classes to sabotage them and turn the wheel of progress 180 degrees counter-clockwise. It is up to the civil society to forge a broad alliance for the same objectives. Unorganized civic actions depending on charismatic personalities cannot substitute genuine organized mass movements. Also to be noted is the trend away from traditional political parties in many countries. It was just few weeks ago that France elected a President outside the established parties of the Left, Right and Center. Even the January 8 change in Sri Lanka resembled somewhat such a change though it was immediately nullified by the elected President taking over the leadership of the SLFP. New movements such as the One Percent Movement in the United States are attracting youth in several countries and their common feature is the independence from established political parties. In our own country it could be fairly established that a silent majority unattached organically to established political parties are a dominant section of the voters at elections. Their alienation from the established parties poses a threat that they would in turn to nihilist and anarchist positions in disgust. Only a powerful civil society movement could compel them towards playing a dynamic role in social transformations required to ensure a better society for posterity. Failure to do so would perpetuate the pendulum like oscillation of power between the established Rightist parties and leave the poor in the same or even worse conditions of life.